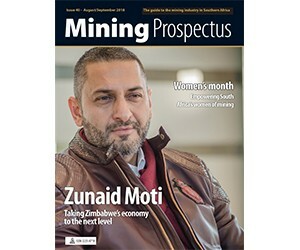 Mining Prospectus, launched in 2011, has been providing insightful content to business decision-makers and procurers within the South African mining sector and has developed a loyal readership in that time. It highlights the issues, opportunities, challenges and solutions that affect these readers directly and examines the ever-changing technological environment facing decision-makers in this dynamic industry. A combination of informative, unbiased and independent editorial written by senior journalists, supplemented by case studies by academic and other industry experts, is the hallmark of this publication.